I wanted to choose a different Solid Color for my Desktop Background on my Mac. In order to achieve this, you have to complete a couple of steps. 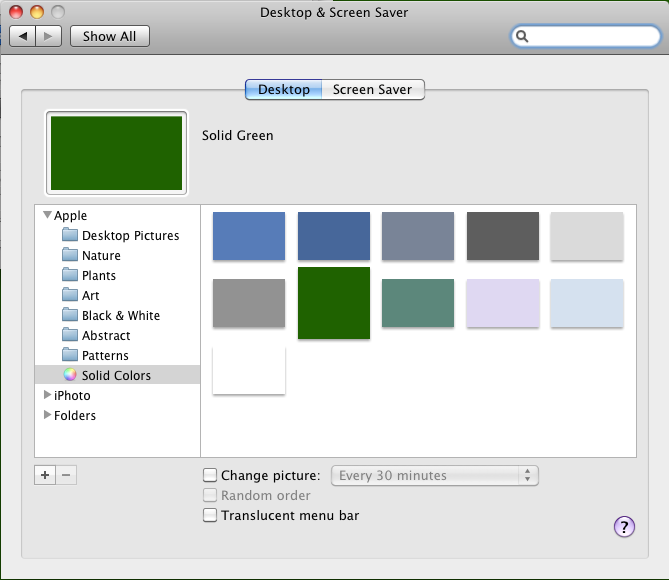 All of the default Desktop Backgrounds for “Solid Colors” are located in “Macintosh HD/Library/Desktop Pictures/Solid Colors”. From here you can add PNG images and they wil be available under the “Desktop” section of “Desktop & Screen Savers” in System Preferences. You just need to create a new PNG image with the color your would like to use and then you can set it as your Desktop Background. I’ve provided some steps on how to complete this easily. 1. Double click on “Macintosh HD” on your desktop. 2. Navigate to the following folder “Macintosh HD/Library/Desktop Pictures/Solid Colors”. 3. 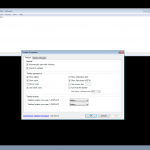 Right click on “Solid White.png” and select “Duplicate”. 4. Rename the newly created file to “Solid Green.png” or to whichever color you wish to create. (This is important as the name on the file is used for the name under the “Solid Colors” section in Desktop & Screen Savers”. 6. Change the image to be the color of your choice, and save the file. 7. Open “Desktop & Screen Saver” and you should now see “Solid Green” in the list. You’re done! 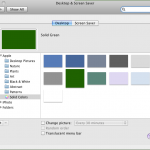 Here is a screenshot of “Solid Green” located under “Solid Colors”.